Series creator Joel Hodgson also announced that comedians Baron Vaughn and Hampton Yount have joined the cast as the voices of robot sidekicks Tom Servo and Crow, respectively. 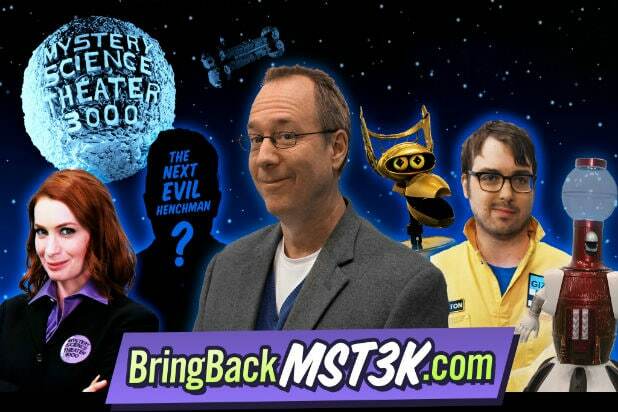 The “Mystery Science Theater 3000” Kickstarter campaign to relaunch the cult TV series hit its initial $2 million funding goal after just six days. Over 18,000 funders pledged money to the reboot, which is being spearheaded by Joel Hodgson. This round of funding will go toward creating three new episodes of the show, with the goal being to produce a new 12-episode season. Hodgson also recently announced that Nerdist podcast host Jonah Ray will be one of the new hosts of the show. The series, which launched on a Minneapolis UHF station in 1988, featured Hodgson and later Mike Nelson and two robot sidekicks as they riffed on cheesy B-movies by providing their own hilarious commentary. It then moved to Comedy Central and finished its run on the Sci-Fi Channel (now Syfy) in 1999 after 197 episodes.